Doctors in Turkey have released new research in which they investigated the relation between the structures of the low back, sacrum, and pelvis and how degenerating facet joints influenced lower spine instability. Osteoarthritis of the facet joints is one of the most common degenerative changes in the spine. It is considered to be formed secondary to repetitive stress or trauma and spinal deformity with secondary overload. The cause(s) of facet joints osteoarthritis, however, have not been clearly identified. The researchers looked at CT images of women who were between the ages of 30-35 years old. They looked at their pelvic alignment (pelvic incidence), and curvature at various parts of the spine. Clearly it can be suggested that instability and weakness in the facet joints cause significant movement and pain in the lower spine. Asian Spine J. 2014 Oct;8(5):581-590. There is often a great amount of confusion when it comes to facet joint injections as a non-surgical treatment option for back pain. Some think facet joint injection to be solely the use of steroids. In fact some patients are routinely given the choice of facet joint injections or Radiofrequency neurotomy. This is where heat generated by radio waves are targeted to damage specific nerves and interfere with their ability to send pain signals to the brain. A facet joint injection can be performed for one of two purposes. One purpose is diagnostic in that it confirms or denies that the facet joint is the cause of back pain or neck pain. The second purpose is therapeutic in treating the facet joints. Diagnostically, a small amount of anesthetic is injected into the facet joint near the area of pain. If pain relief results then the facet joint is deemed the culprit of pain. Once the facet joint is pinpointed as the problem area, further injections of anesthetics and anti-inflammatory agents are injected to try to achieve more permanent pain relief. A facet joint injection usually involves a patient lying on an X-ray table so that the physician can guide the needle placement using a fluoroscopic X-ray. A contrast dye is first injected so that the physician can confirm that the medication will go to the proper spot. Once proper placement is determined, the physician will inject the medication, usually an anesthetic and corticosteroid, into the facet joint. 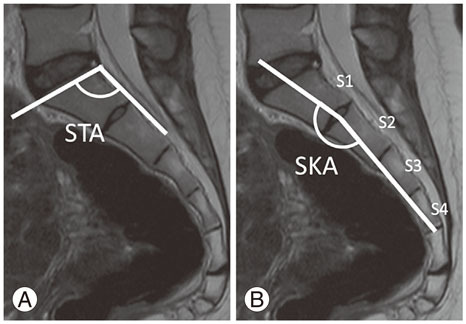 In a comparison of these two “popular treatments” doctors found that Intra-articular steroid or radiofrequency denervation (Heat generated by radio waves is targeted at specific nerves to disrupt their ability to transmit pain signals) appear to be a managing option for chronic function-limiting low back pain of facet origin with favorable short- and midterm results in terms of pain relief and function improvement, but improvements were similar in both groups.2 In other words, good for the short-term. However in recent research, doctors tested whether paraspinal block reduces pain scores compared to placebo in women with chronic pelvic pain refractory to drug therapy. Drugs did not work. Paraspinal anesthetic block had a small effect on visual analog scale pain score immediately after the injections, but no sustained benefit after one week. 3 Here symptom suppression has failed. The facet joint or apophyseal joint helps to connect one vertebrae to another vertebrae. This joint connects the superior articular process of one vertebrae with the inferior articular process of the other. Capsular ligaments are part of the joint capsule that surrounds the facet joint. The capsular ligaments join together with surrounding ligaments to provide stability to the joint. 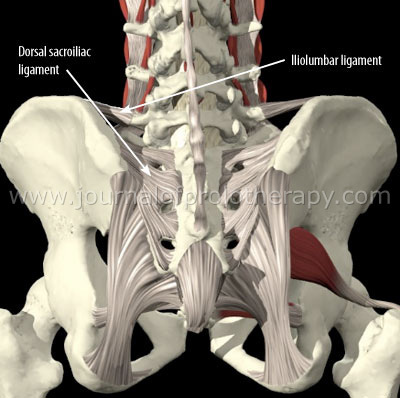 The capsular ligament is a very important structure and is key in the treatment of spinal pain and spinal instability, as these tiny ligaments hold the facet joint in place. They also have nerve fibers which are associated with pain. Nerve fibers and nerve endings are located in the ligamentous and joint capsular structures of the spine. The joint capsules themselves are innervated by various types of sensory nerve endings. Since this is the case, it would make sense that these nerve endings are associated with pain. The capsular ligaments of the facet joint can support about twice the body weight in a young adult, with their strength decreasing with age. According to one study which applied extra load on the capsular ligaments of rats, the loading altered joint stability and caused ligament damage. This damage produced changes in the alignment of the ligaments capable of causing persistent pain. The facet joint and capsule have been demonstrated in various studies as the site of pain following injury to the spine. Abnormal movement in the facet joint during such forceful conditions as that which occurs in whiplash, plays a role in production of pain. It is not unusual in these cases, for the capsular ligaments to exceed their physiologic range during these events, causing stretching and damage to these ligaments. Studies have also shown that the capsular ligaments can be altered in the absence of gross ligament injury. This altering is described as ligament laxity. The instability of the facet joint and the laxity of the capsular ligaments puts stress on the nerve endings, thus causing the pain associated with the condition. Generally, an injury to the spine will cause damage to the facet joints and capsular ligaments at various levels of the spine. For this reason Comprehensive Prolotherapy would be required in order to treat all injured areas. Prolotherapy to the facet joints and capsular ligaments will help the body to stimulate repair of the damaged ligaments. When the capsular ligaments are strengthened, the joint will become stable, and the pain will go away. 4. Chakraverty R, Dias R. Audit of conservative management of chronic low back pain in a secondary care setting–part I: facet joint and sacroiliac joint interventions. Acupunct Med. 2004 Dec;22(4):207-13.